The fan-favorite U.S.S. 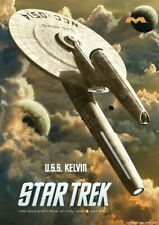 Kelvin, from the opening sequence of Star Trek (2009), is recreated as a precision-tooled, styrene kit. This skill-level 3 kit includes clear engine details and deflector dish. 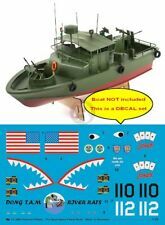 Peddinghaus Decals 1/18 US Navy Assault Support Patrol Boat (Alpha Boat) PBR (Patrol Boat, River) "Pibber" in Vietnam War Markings (for Pro Boat Models kit No.PRB08027) 3480. Peddinghaus Decals is a specialty manufacturer from Germany known in the modeling community for producing decals sets and subjects not easily obtained elsewhere. The cathedral is widely considered to be one of the finest examples of French Gothic architecture and among the largest and most well-known church buildings in the world. The naturalism of its sculptures and stained glass are in contrast with earlier Romanesque architecture. MILSPEC DECALS MS 32-018. VF-2 Bounty Hunters F-14A. Includes CAM PRO decal P32-007. USS enterprise CVN-65, 1977. ZVEZDA 8016 Model Kit "Livonian Knights XIII A.D."
ZVEZDA 8016 Model Kit "Livonian Knights XIII A.D." (1/72 Scale). Livonian Knights XIII A.D. Condition: Glue and paint in the model set is not included. The model is unpainted, not assembled. I do occasionally make typographical errors. Our pressure sensitive adhesive easily sticks to any clean surface. With the mild tack of our product, you can put the foil on your model without worrying about it wrecking your paint job. Werner’s Wings is proud to announce the release of our latest decal sheetWW Decals 48-15-UH-1D/H Stencils. Markings are in yellow and black. Decals for 14 other UH-1D/Hs from Vietnam are included on WW Decals 48-14. The decal contains sponsor logo. This is made by Decalpool with silk screen print. These kits make it easier to cut out your photo etch pieces. Gives extra clamping ability needed on longer photo etch. Excellent for work on any type or scale of Photo Etch. Photo-Etch Bending Tool 5.5" (5 Speed) Hold and Fold. The Lindberg Jolly Roger Series: Hex Marks the Spot showcases freebooting specters that have yet to realize they belong in Davy Jones’s Locker. • 1ST IN A SERIES. • LONG LOST KIT. Peddinghaus Decals is a specialty manufacturer from Germany known in the modeling community for producing decals sets and subjects not easily obtained elsewhere. Produced with enthousiasm, Peddinghaus has extensive coverage on various areas which can provide fine and unique details to your subjects. This set features markings for 13 DIFFERENT 2nd Canadian Armoured Brigade versions! Item:Decal Set - Lockheed Martin F-35A Joint Strike Fighter. For Tamiya 1/32 F-4J Phantom. Includes placards for the landing gear, speed brakes, speed brake wells, auxiliary air doors, wing external fuel tanks, and main and nose gear doors. Also includes markings for all pylons, bomb adapter racks (inboard and outboard pylon types), and LAU-7 rail markings. 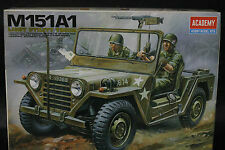 Item:M577 APC. The kit includes parts molded in gray resin and assembly instructions. The box is in excellent condition. This kit is COMPLETE and MINT IN THE BOX! The kit includes the parts shown in the photo. Now with internal partsincluding machine guns. 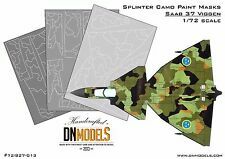 Intended for the Monogram 1/48 B-24 Liberator kit. These are the Consolidated made turrets. To be used for nose and tail positions. Check your model before buying for applications with the Consolidated turret in the nose position. Item:Decal Set - General Dynamics F-16C/D Viper Block 40/42. One cut across the kit nose. Turn your Monogram B-24 from zero to hero. My sets are not for beginners! They are intended for the scratch builder, kit bashers, and modelers of moderate to advanced abilities. The box is in good condition. This kit is COMPLETE and MINT IN THE BOX! Condition:NEW - MINT IN THE BOX. You are watching about 1/12 Honda RC30 RVF750 Rothmans '87 8hr Suzuka Endurance for Tamiya. This set includes resin parts and instructions. The box is in good condition. This kit is COMPLETE and MINT IN THE BOX! Condition:NEW - MINT IN THE BOX. This set is COMPLETE and MINT IN THE BOX! This set is NEW and in great condition. The box is also in good condition. 1:24 1:25 scale Diorama. Flat Bed Wrecker Tow Truck Bed. White bed and chains. 1/72 scale M51. "Conversion" for Hasegawa Sherman M4A3E8. so as a result the upgunned Sherman was designated Sherman M-50. The M-50 was similar to the Sherman Firefly. and in 1955 a prototype turret was sent from France to Israel. This set includes markings for 3 DIFFERENT U.S. Navy aircraft, plus stencils!